Everyone experiences anger in some shape or form – sometimes it can be mild annoyance but on other occasions it can manifest into a full blown rage. As anger is one of the seven universal emotions according to a study by Paul Eckman and Daniel Cordaro of Berkeley Universtiy, it is completely normal to feel this way for short periods of time. However, how we act on our feelings of anger is important. Knowing how to control or reduce your anger is vital to not allowing it to overtake your life completely. 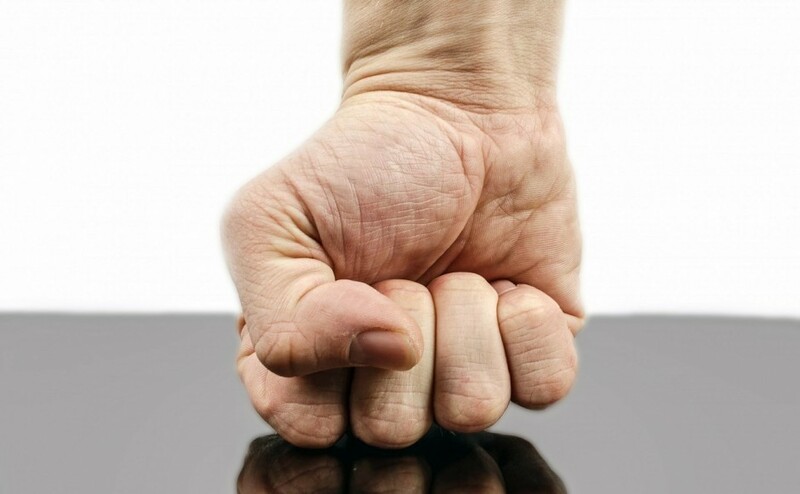 Here are 8 easy anger management tips to try out next time you feel the anger rising in you. Take some time out and just stop. Sometimes when you’re in the thick of your emotions it feels impossible to stop feeling that way but if you pause, even if it’s just for one minute, and take the time to calm down, this can help you start to relax. Take some deep breaths. Breathe from your diaphragm – this forces you to slow your breathing down and has a calming effect on your body, which in turn affects your emotional response. If you can, get outside and go for a walk or a run. Fresh air and physical exercise can work wonders for your body and mind and is key to mental well-being. Not only does it give you time out from the situation at hand but it gives you a chance to think things through rationally before you act on your emotions. Yoga is also fantastic as it is heavily linked to breathing and has a calming effect on your body and mind. Anger is an emotion so you cannot let it dictate your response to a situation. Think logically about your circumstances and use that logic to make sound and reasoned decisions on how to react. Identify what has triggered your anger. Is it something that will recur? Is it something you can make an active decision to avoid in future? Or is it something that is likely to be unavoidable? If so, start to think about strategies you can put in place to reduce your anger the next time it happens. Once you’ve identified what is triggering your anger, think about what you can do to change your situation. If it’s something you can change, change it. For example, if you’re annoyed about constantly tidying up after your children, make a reward chart and encourage them to do it themselves to get a reward. Never be too proud to ask for help. If you’ve tried everything you can think of but still feel like it isn’t making a difference, seek professional help. Angry outbursts can place you and those around you, often the ones you love the most, in danger. There may be underlying issues which you may not even realise, and professional psychologists will be able to help you identify and work through your anger issues, as well as put in place tailored anger management strategies that can help you process your anger effectively and safely. You can request an anger management counselling appointment with us online – we are open weekdays, evenings and Saturdays, by appointment.